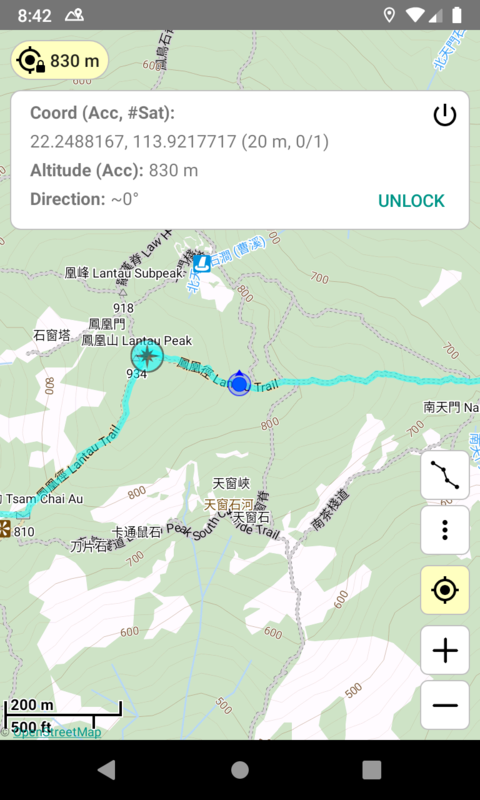 Hiking Trail HK is a Hong Kong hiking mobile app. 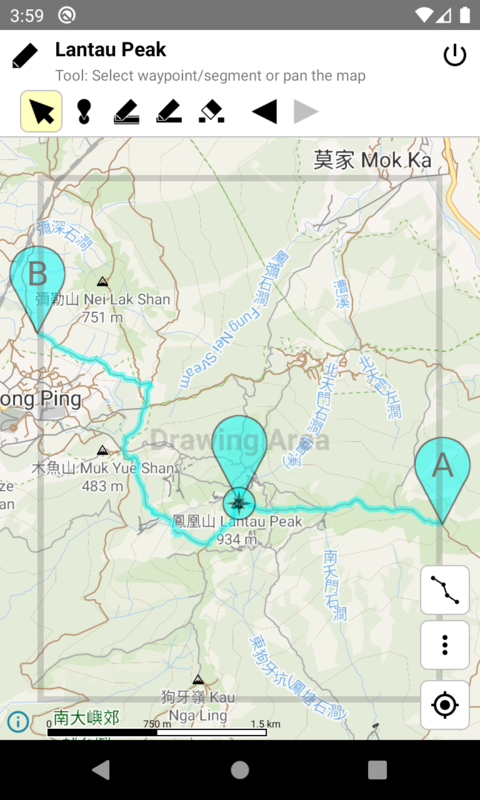 providing offline map and over 100 hiking trails in HK, and supporting route drawing/sharing, route length/gain/loss calculation, time estimation, GPS location, compass, track logging, deviation alert, and etc. * The iOS version has not implemented all the features yet! Want to draw your own route? 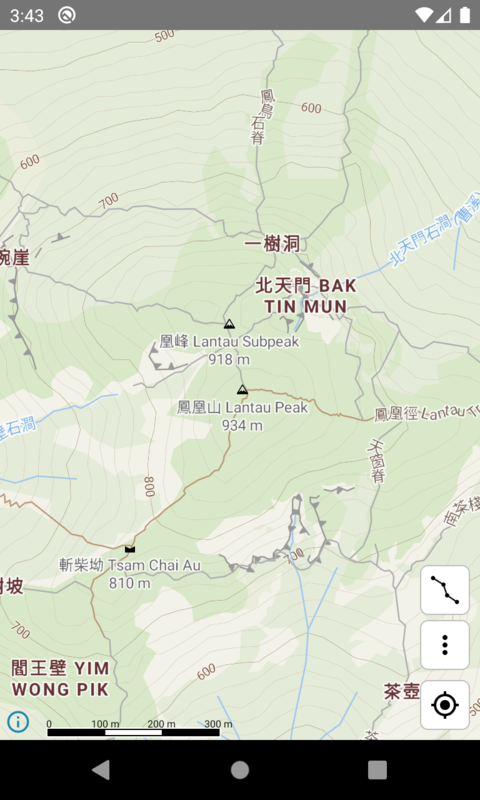 After using Hiking Trail HK, you will find that it is a piece of cake. 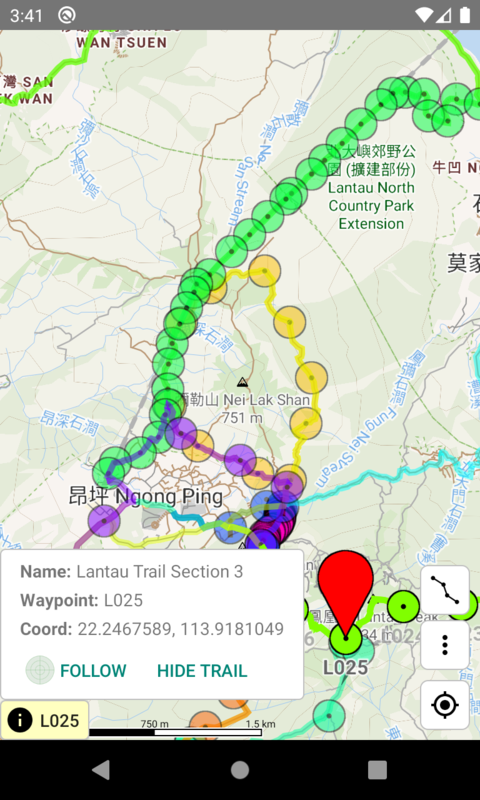 Just move your finger along some ways in the map, and mark several points of interest, then you have your own trail. 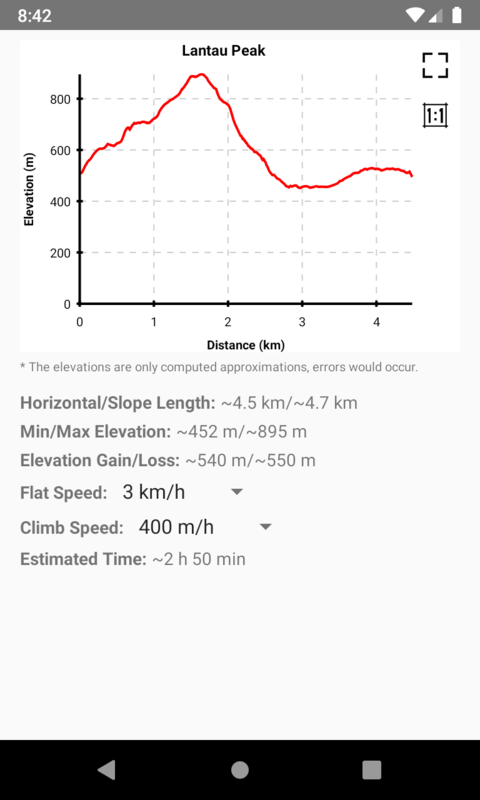 How long will a hike take? 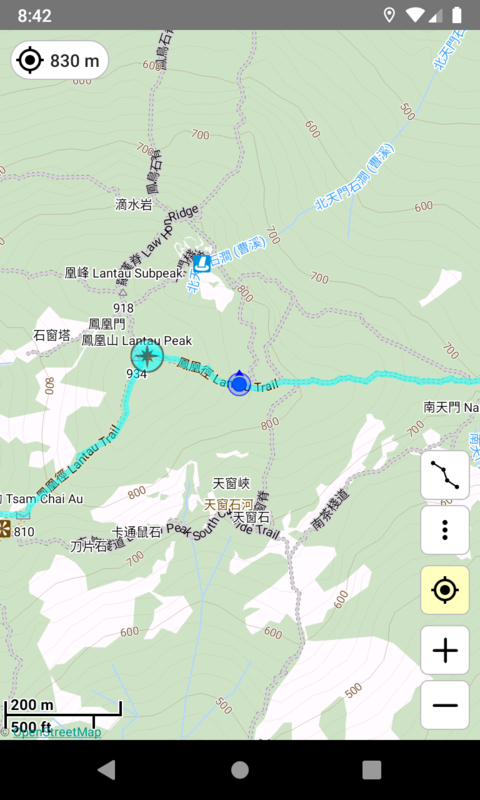 Just select the start and end points of a route, and enter your speeds, Hiking Trail HK will estimate the time for you. 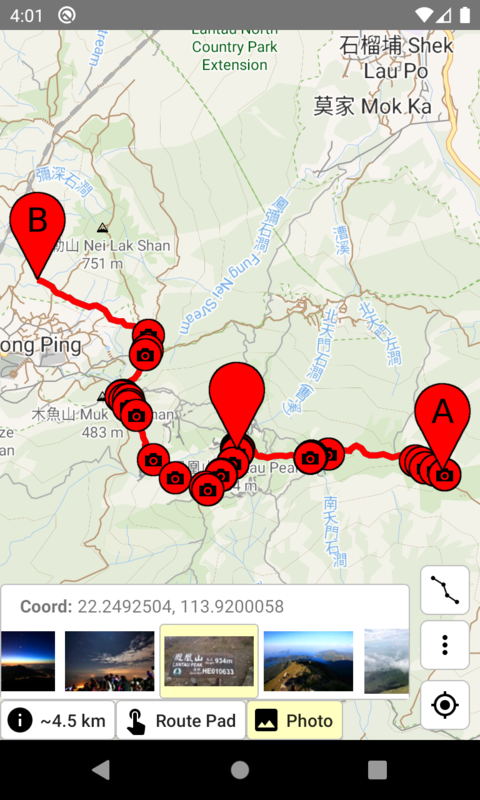 (1) The map data comes from OpenStreetMap. 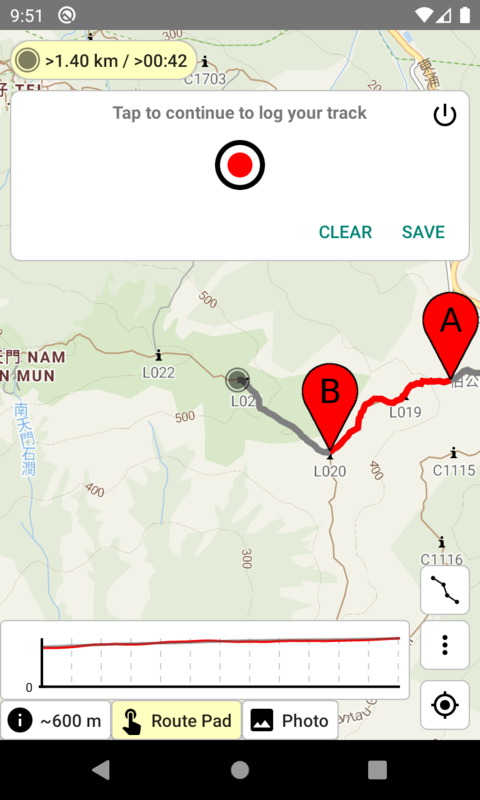 (2) This app makes use of open source map rendering libraries, mapsforge for Android, and Mapbox Maps SDK for iOS. 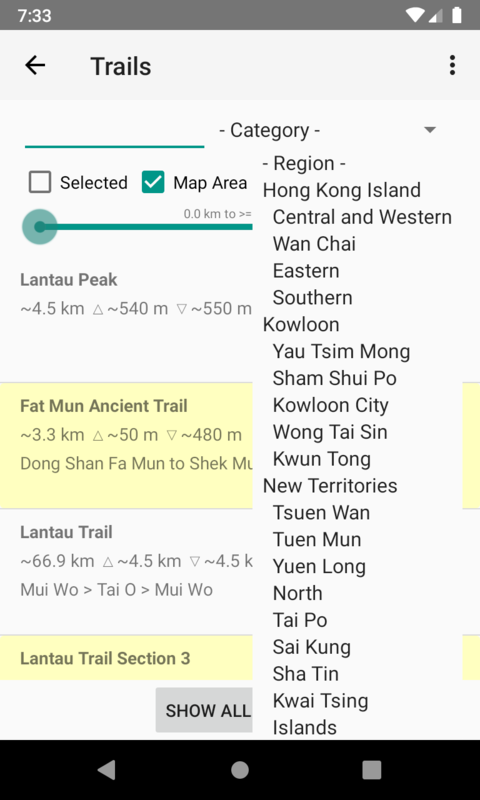 (3) There is an error of about 100 m, when finding trails around a region or the map area. (4) The elevations shown in profile are only computed approximations, and would be different from the real ones a bit. (5) This app only shows certain searchable photos from Flickr. They must be public, permit commercial use, and contain location data. 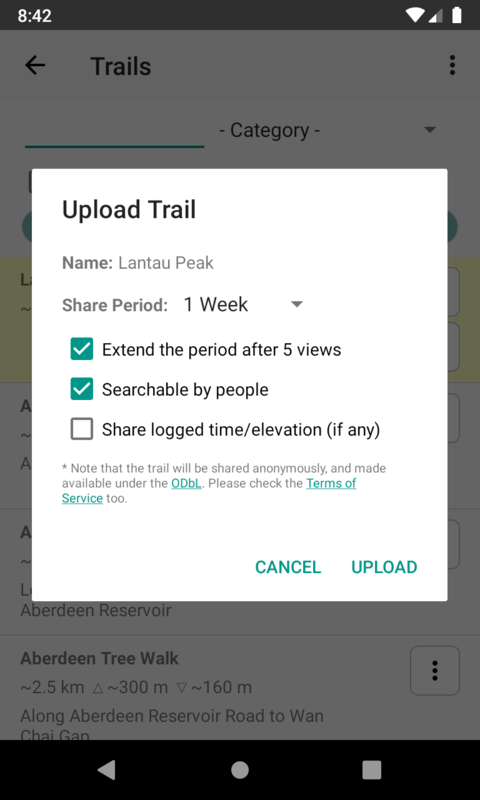 (6) The routes contain information from OpenStreetMap, which is made available here under the Open Database License (ODbL). (7) Some distance posts are missing, but will be added back later. (8) The GPS position may have large error in non-open areas. 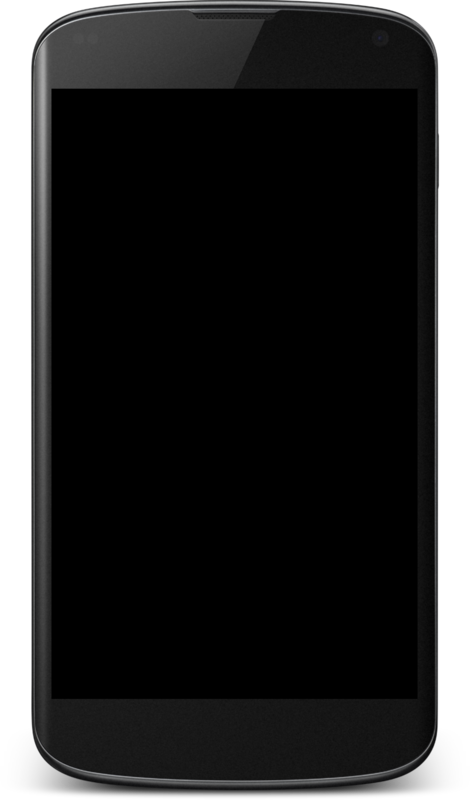 (9) The "Lock GPS" function will consume more battery power. (10) The "Track Logger" will keep the GPS on and save positions to the SD card periodically, so more battery power will be consumed. 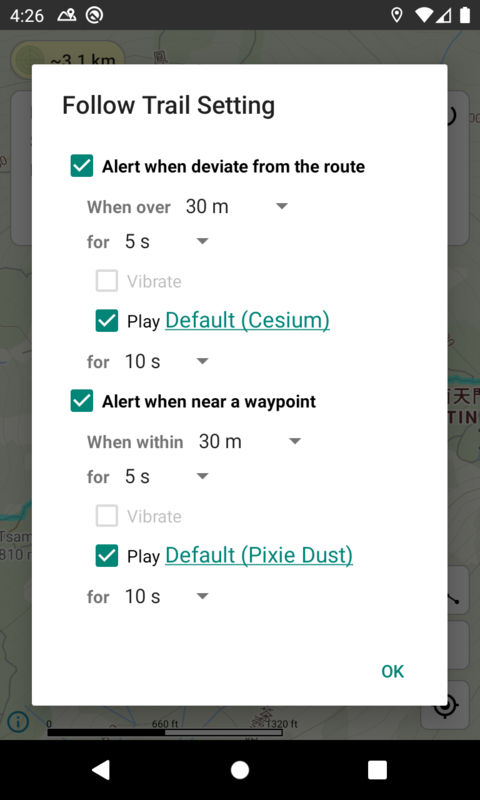 (11) The "Follow Route" function will keep the GPS on, so more battery power will be consumed. (12) Three languages are supported: Traditional Chinese, Simplified Chinese and English. (13) If not paid for one-time purchase or annual subscription, this app will show ads when using some functions.